To see more pictures from other The Quest gatherings, visit our Flickr page here. A number of the guys who have attended The Quest Workshop volunteered to join us for a photoshoot to help us capture in pictures some of the moments from the Weekend Workshop. Our intention was to give an insight into what happens in the Workshop. More of the images can be seen here. On 22 May 2013, we held the inaugural The Quest Bitesize at the PwC building in London Bridge. 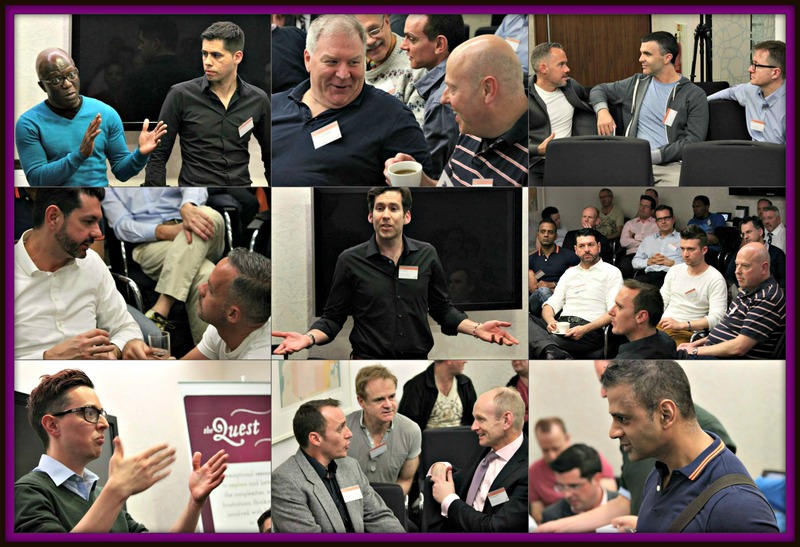 The Quest Bitesize is quarterly evening event designed exclusively for The Quest graduates to come together and explore issues relevant to their journey of authenticity, and to learn and discover new things that can facilitate their Quest journey. The theme was ‘Gay Relationships and Love’ and we were joined by Neil Young from the Devotion Project and actor/singer, Anthony Hehir. As part of the 2013 LGBT History Month, on 6 February 2013 The Quest, in conjunction with The Royal Central School of Speech and Drama, put on a performance of ‘Beneath the Surface – Real Life Stories‘. The performance featured nine gay men telling autobiographical stories of their lives. Click here for pictures from the event, and the rehearsals leading up to the performance. 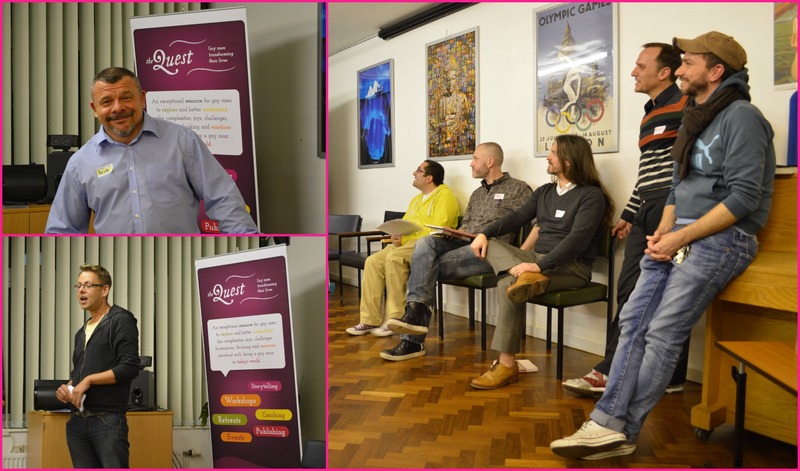 On 8 January 2013, Contributors to the book ‘Love Me As I Am: gay men reflect on their lives‘, published by The Quest, gave a book reading at an event organized by the charity ‘Opening Doors‘. They were joined by Paul Bradley, from the charity ‘Diversity Role Models‘. Opening Doors works in partnership with Age UK, to provide information and services to older lesbians, gay, bisexual and transgendered people in the UK. Click here to read up on the event. 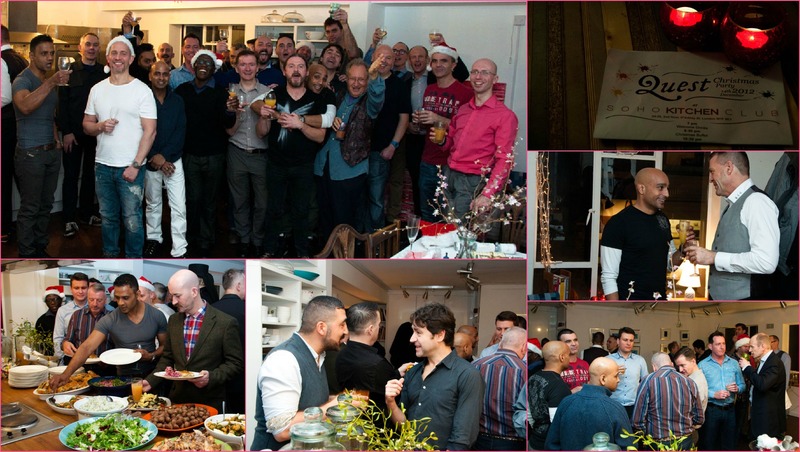 On 14 December 2012, The Quest held its first Xmas party, which was organised by past workshop participants. The party was hosted by The Soho Kitchen Club, London. 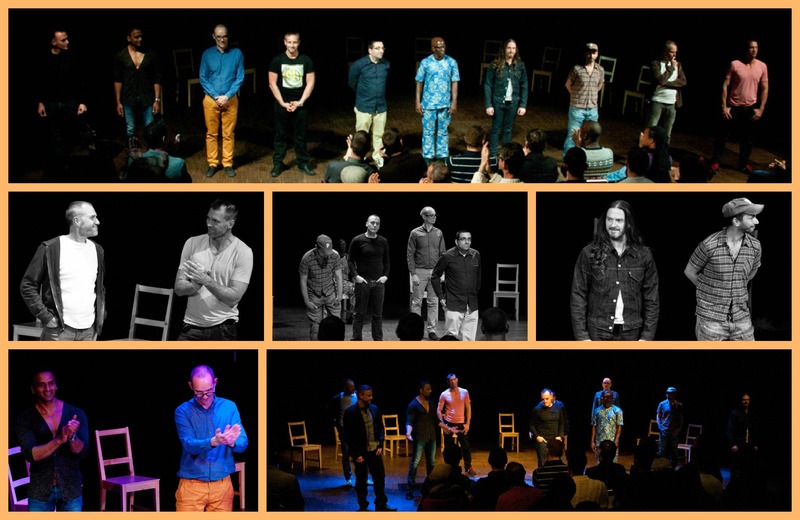 On 3 November 2012, The Quest hosted an evening of performance storytelling, exploring the lives of 10 gay men as they journeyed through childhood, adolescence and adulthood. The performance was part of a 2-day event entitled ‘Gay Utopia – going beneath the surface‘. 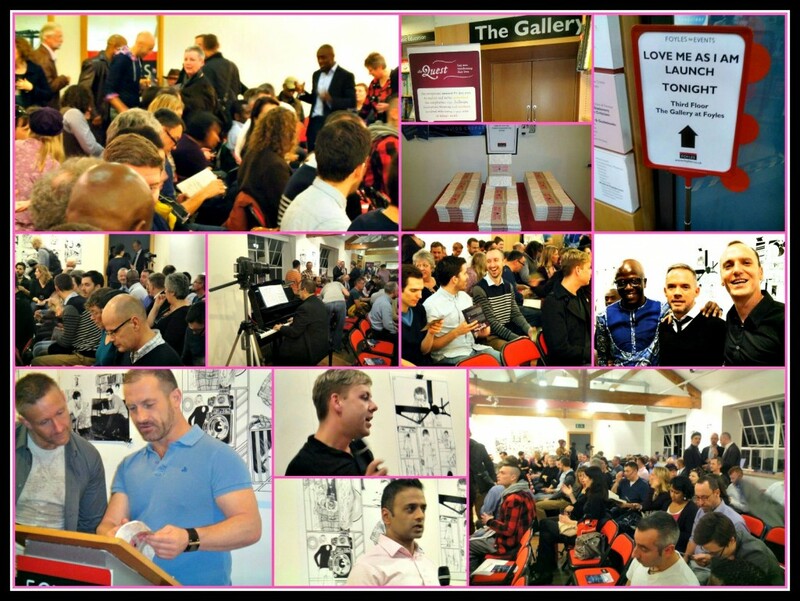 On 23 October 2012, The Quest held the book launch for its first publication, ‘Love Me As I Am: gay men reflect on their lives‘. The launch was hosted by Foyles bookstore, Charing Cross, London. Click here to see more pictures and read up on the event.